As email marketers, we want our customers to: open, read, click, shop, spend money, interact and engage with us, regardless of the device they are using, what they are doing or where they are. In order to achieve this, we need to create the best possible message and to do so, we need to test, test, test! In this issue of eMarketing Insight, we highlight the importance of testing email campaigns and also give you tips on what you should be testing in order to achieve the best results. Testing is necessary to see what works specifically for the type of communication you’re sending and the target market you’re sending it to, as individual customer groups will react differently to the various emails to which they’re subscribed. 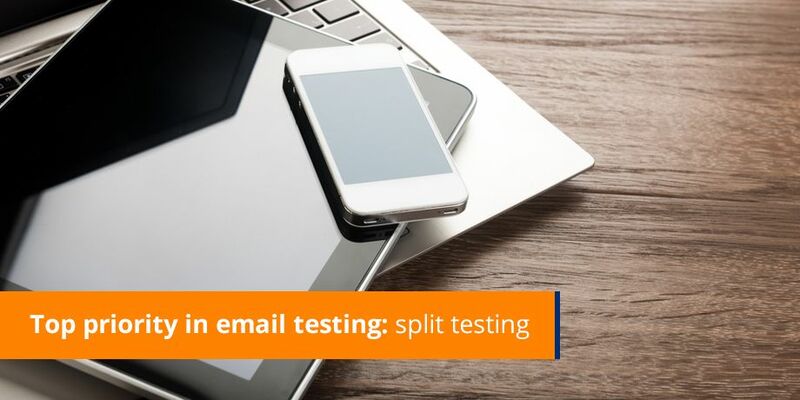 Then bring various devices into the picture, along with understanding how and where people read their emails – this is where testing becomes one of the most important elements of your email planning. The question is; how do we attract attention to our emails in these varying environments and on these differing devices? The simple answer is to test as much as you can to understand what works and what doesn’t. Is there a right time to send? Think about the purpose of your email. A ‘past-due notice’ may deliver better results while your customer is seated at their desk, rather than while they’re ‘on the move’. Whereas, an email carrying a bill / statement doesn’t have an optimum time to send, as customers anticipate and therefore save this information anyway. If you had to change your subject line, would it increase opens? More importantly would it maintain or increase your click through rates? Many subject line tests have shown an increase in open rates and a decrease in click rates, so make sure to check the effect one change has on all your statistics and KPIs (key performance indicators). 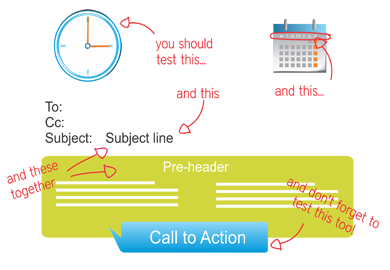 It’s not just about changing the wording in your subject line or call to action to see what works best: it’s testing those elements in every environment. Different devices present email in completely different ways, as do web-based email clients present subject lines differently in client side email environments. Everything matters and so, each element should be tested for the best results. Don’t assume that because a tactic worked for another company it will yield the same results for you. While you’re testing what works best for your emails specifically, you might also consider a test whereby you break all the steadfast rules to see what works for you. Why not try using capital letters and some of those ‘no-no’ words in your subject line? “FREE delivery TODAY ONLY” – it may attract a bit more attention than an email that says “Shop today for free delivery”. Now more than ever, we need to become artists in our copywriting and masters of layout. Studies have shown that we have two seconds to attract a customer’s attention to our emails. To make those two seconds count you need to TEST!